* Mariell's stunning bridal hair pin with delicate sprays of freshwater pearls and shimmering crystals will add glamour to any wedding updo. 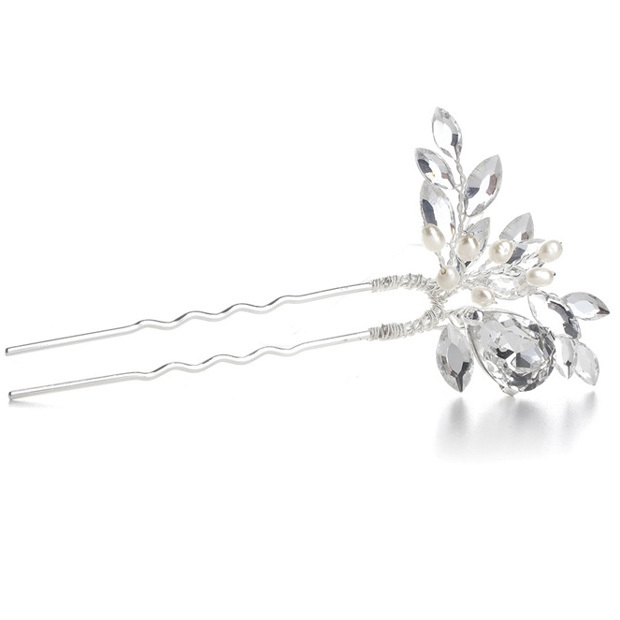 * This elegant hair stick features a brilliant pear shaped Austrian crystal accented with marquis crystal and freshwater pearl sprays. * Our graceful hair pin can be worn individually for an understated look or can be combined with additional pins for a more dramatic hair accessory. * This unique hair pin measures 1 1/2" w x 3 1/4" h.